According to a report on the London SE1 website Lambeth Council Leader Councillor Steve Reed has called for the abolition of the Vauxhall Cross gyratory system - a move Lambeth Cyclists and other local residents' and transport groups have been advocating for some time. The Council in its supplementary planning document is proposing the development of a town centre in Vauxhall including a new public square to give the area a focus. The continued use of the gyratory system has been identified as a major barrier to this development. 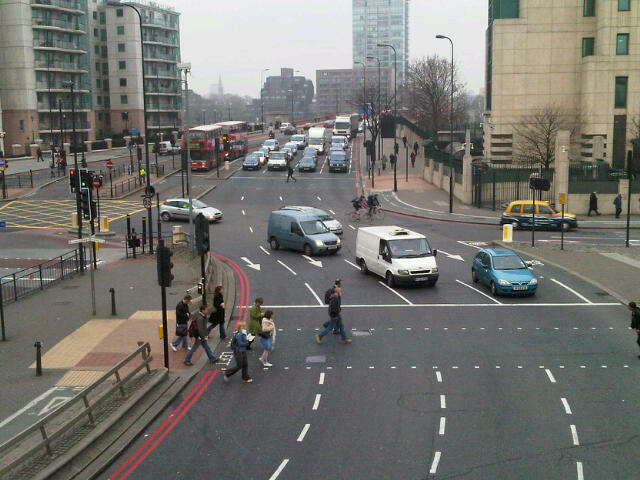 Lambeth are advocating a return to two-way traffic on the roads around Vauxhall station to make it more people and cycle friendly. The Council is holding open days at which it will display its plans on Wednesday 14 and Thursday 15 March (3pm to 8pm) at Unit 13A, St George Wharf, Vauxhall SW8 2LL - all residents and interested parties are welcome.